In Part 1 we saw how Nicolò Amati maintained the family business through the years of plague and famine, and the Amati workshop of the 1640s remained the most illustrious in Italy. But Amati was unmarried and nearing 50, and it must have seemed likely that the workshop would be inherited by Andrea Guarneri. Then in 1645 Amati married Lucrezia Pagliari. Guarneri was a witness to the ceremony, showing the close rapport he had with his master. The couple had four sons and four daughters in the following 15 years. The last child, a girl, was born in October 1661, when Amati was nearly 65. The most relevant for us was the birth of the second son, in 1649, baptized as Girolamo and now known as Girolamo II to avoid confusion with his grandfather. Girolamo II was to become the only maker in the fourth generation of the Amatis, and the last luthier in the dynasty. 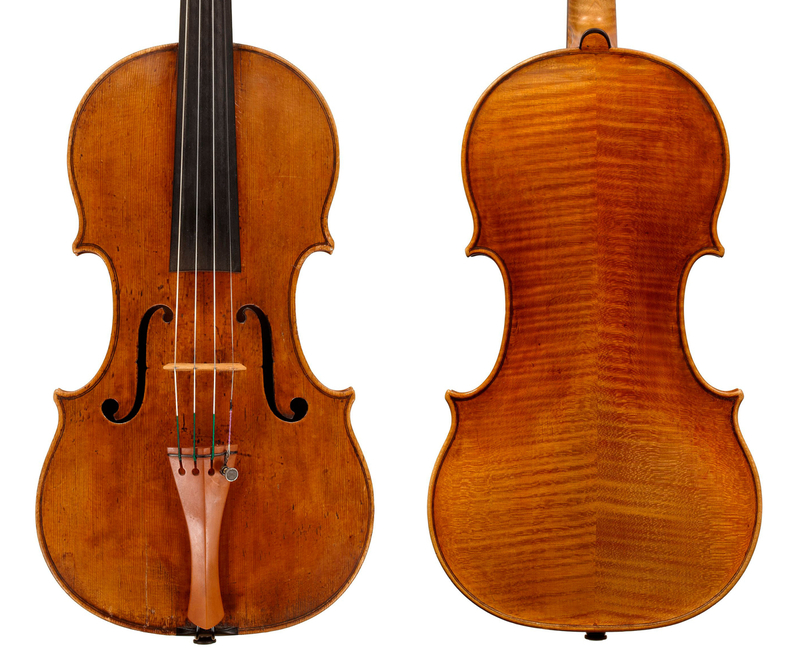 The relationship between Amati and Guarneri lasted for many more years, and it is easy to imagine that Amati had a role in arranging the marriage of Guarneri with the orphaned daughter of a next-door neighbour, Anna Maria Orcelli, in 1652. Part of Orcelli’s dowry was her family’s house, a small building very close to Amati’s. Both houses had a back door in an alley just a few meters from each other. At the time of Guarneri’s wedding the Orcelli house was rented to relatives and it took a couple of years to turn them out. Meanwhile, Guarneri and Orcelli lived in the Amati home. 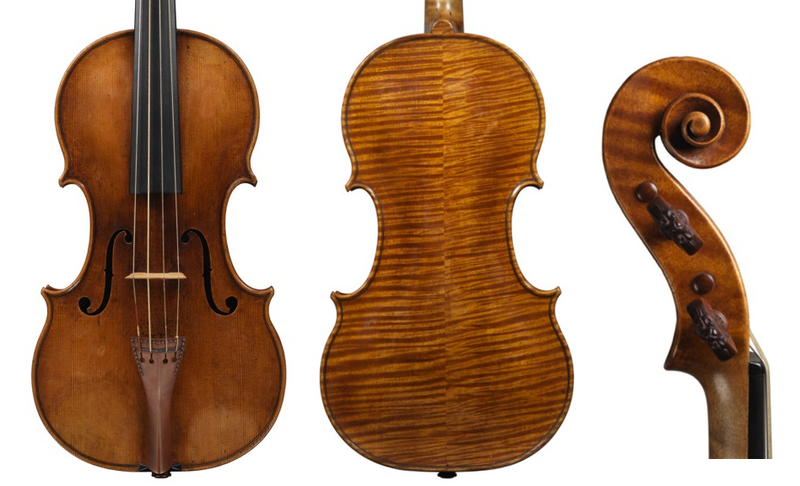 It was in this period that Nicolò Amati perfected what was probably the most significant innovation he gave to the history of the violin: the grand pattern, a new model of violin of a larger size than the two commonly used by Andrea Amati and his sons. Although examples of instruments built on this model date from many years earlier, it was from the 1650s that Nicolò started to use it widely. While we see no particular development in the models used for heads, where the line of the spiral remained basically the same as his ancestors’, Nicolò also experimented with archings, probably trying to add strength to the soundboards and backs. At this time there were major innovations in the technique used for manufacturing strings, and he must have been well aware of this. Nevertheless, as a very general assertion, apart from introducing the grand pattern model Nicolò was not an innovator, preferring to follow and perfect the style his father and grandfather taught him. Amati was a successful artisan. From the early 1640s he had some money to invest and bought a piece of land with a small farm outside Cremona. Unfortunately, shortly after the purchase a military campaign led by the Duke of Mantua saw the army pass through Amati’s land and destroy everything, including the farm. For Amati it was a disaster: he went on paying the debt he had contracted to buy the land until 1681. Nevertheless, he was busy in other affairs, as showed by the many notarial acts that occur throughout his life. One of these, referring to the instruments bequeathed by a priest to his heirs, shows Amati wearing the hat of a musical instrument dealer, declaring he had sold on behalf of the priest a double bass he owned in Mantua. The priest was a good customer of Amati and had bought at least two violins and two violas from the maker. The document also gives the value of these instruments: 15 ducatoni for a violin, 22 ducatoni for a viola. 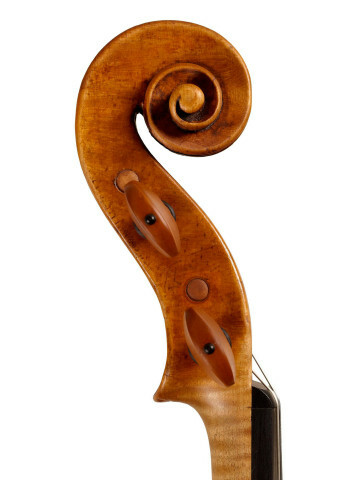 These were substantial sums, since the bass, not by Amati, was sold for 13 ducatoni, and a viola da gamba by another maker was valued at 5 ducatoni. From the early 1660s Girolamo II assisted his father in the shop; Nicolò was now well over 60 and presumably appreciated his help. Girolamo was the only child to follow his father’s trade, since the other brother to survive childhood became a priest. The workshop saw the passage of many other pupils. Names recorded in documents include Bartolomeo Pasta (in 1660) and Giovanni Battista Rogeri (1661–62), but also those of a Giacomo ‘Tedesco’ (meaning ‘German’ and probably a nickname) and the members of two families of German luthiers, Giacomo Reilich and Giovanni Segher (or Jaeger). Segher was the witness at the wedding of one of Nicolò’s daughters, Teresa, in 1675. This wedding offers us evidence of the economic status of the family, since Teresa’s dowry was a substantial 5,000 lire. In the same period Andrea Guarneri, by then at his best, was giving his daughters 1,300 lire. But the market in Cremona was not what it had been 30 years before: in the 1670s more competitors were taking advantage of city’s fame for violin making, thanks to the Amatis’ work. Their names were significant: apart from Guarneri, the Rugeris were hard at work, and of course there was Antonio Stradivari. There is no documentary evidence to include these makers among the Amati pupils. Nevertheless, Francesco Rugeri knew Nicolò, who was godfather at the baptism of one of Rugeri’s children, and the earliest-known Stradivari label calls him ‘pupil of Nicolò Amati’. It is difficult to imagine that a boy intending to become a violin maker in Cremona did not spend a period in the greatest workshop in town. Whatever the case, neither Rugeri nor Stradivari completely knew of or used the working method that Andrea Amati had set and that Nicolò was still faithfully following. His influence was more important in their style and development. By the 1680s Nicolò Amati was an old man. The instruments made in the workshop were still labeled with his name, but there is no doubt that they were entirely made by Girolamo, who was a first-class maker himself. These years saw the first signs of financial problems for the family: when another sister of Girolamo got married, she too was promised a dowry of 5,000 lire, but not enough cash was available, and in the end the husband received only 3,500 lire. Amati died on April 12, 1684, aged 87. In his long life he had seen success, plague and famine, a family with many children and the passage of armies going to war. He worked hard, improved what his predecessors had done before him and left behind a tradition of violin making that set the highest standard for bowed musical instruments. It is true that his son was not to become the best violin maker in his generation because of the level of competition; nevertheless, the inheritance Nicolò Amati left to the future was second to none.